If you have a serious craving for the most mouthwateringly amazing vegetarian and vegan-friendly meatballs, that are 100% meat-free, you’ve come to the right place. 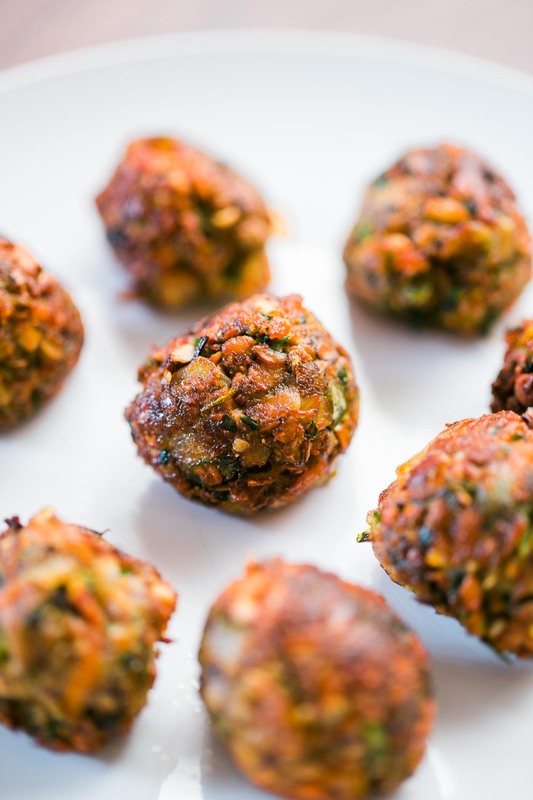 These juicy on the inside, crispy on the outside, and tasty all-around vegan meatballs are nothing short of succulent. 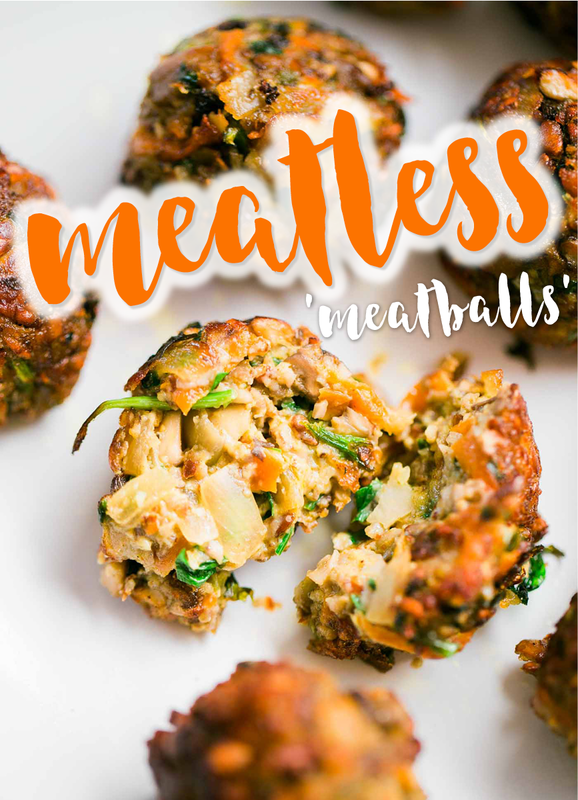 Ready in less than 30 minutes, these meatless meatballs are tasty snacks that even your meat eating friends will approve of. Or flatten them into small, patty sized shapes and serve as sliders. You could just go large and serve jumbo meatballs with a full sized bun as a damn delicious, juicy, burger patty. So what’s the secret to these little balls of vegan heaven? They’re made from mushroom mince! (Get the recipe for meatless ground beef and a few other serving ideas.) Instead of eggs, we use ground flax seeds, and add a handful of chopped almond flakes for a teensy bit of extra crunch inside. In addition to using brown mushrooms, it’s the generous addition of heaps of fresh Italian parsley that create the flavor explosion that’s about to erupt in your mouth. 1 tablespoon fresh chopped rosemary. Add about 18 ounces / 500 grams finely chopped brown cremini (also known as baby portabellini) mushrooms and season with salt and black pepper. Saute until they have released their liquid. About 5 – 10 minutes. When browned, add 1 large grated carrot, and cook for another 2 or 3 minutes. Remove the mushroom mixture from heat and add to a large mixing bowl and allow to cool for a few moments. Mix well using a spatula or wooden spoon. Check that the mixture is cool enough to handle and begin forming into balls or patties. The mixture should also not be too wet, or the balls will fall apart in the pan. Add more bread crumbs to reduce the moisture content if needed. It’s usually easiest to roll all of the patties or balls before you begin cooking the patties. 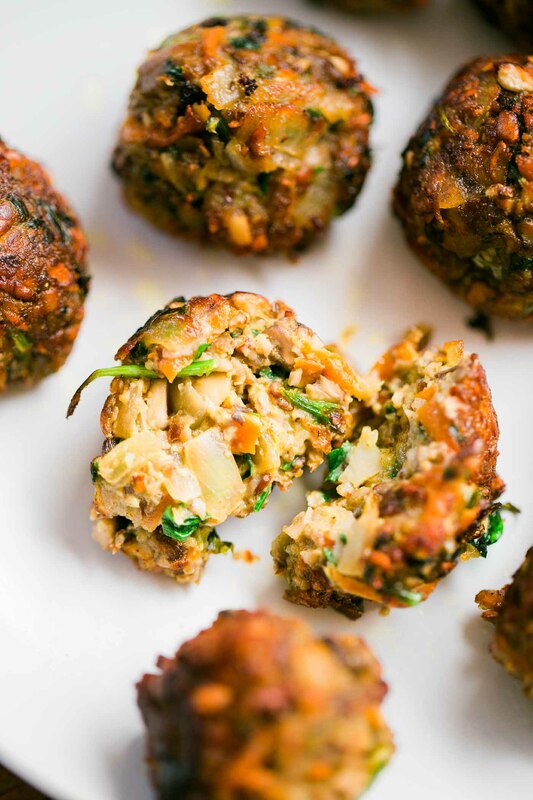 Cook the vegan meatballs in batches by shallow frying in vegetable oil. Make sure the oil is sizzling hot. If the oil is not warm enough, your vegan mushroom meatballs will absorb the oil and become soggy, instead of creating a dark, delicious crust. 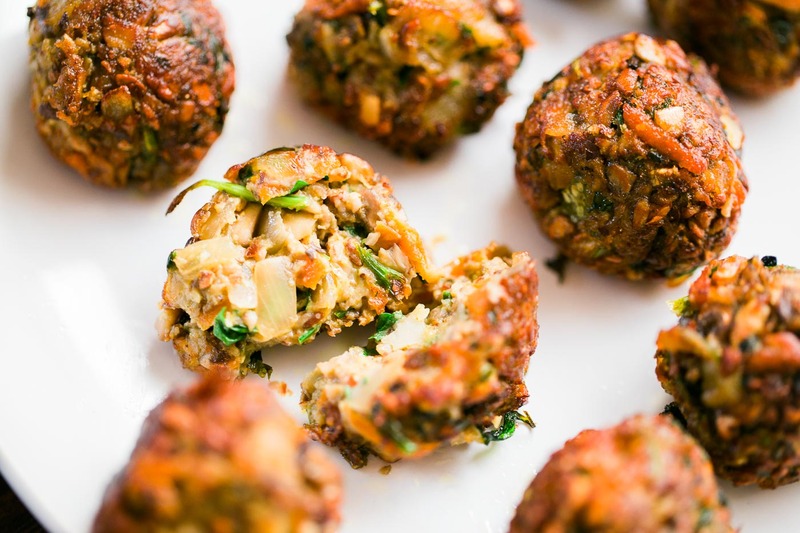 To test the oil, pop one in – if the oil does not sizzle, remove the vegan meatball and allow the oil to continue heating. You also don’t want the pan to be too crowded, as this reduces the overall temperature of the pan and oil, leading to soggy meatballs. Using two spoons to turn the balls an ensure they’re evenly cooked all round. 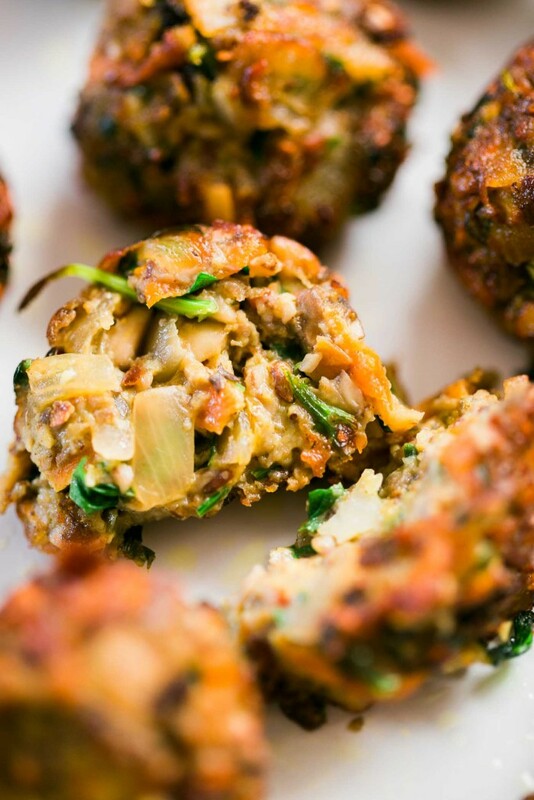 Depending on the size of your vegan meatballs, they should take around 3 – 6 minutes each to cook. When the balls are nicely brown all around, but not burnt, remove using a slotted spoon. Place into a plate lined with absorbent paper towel, serve and enjoy!